We were lucky enough to check out this new coffee and wine bar on the corner of Christopher and Gay Street last week. I’ve always admired this building; from the large antique front doors to the floor to ceiling windows, this new coffee shop deserves all the praise its been getting. 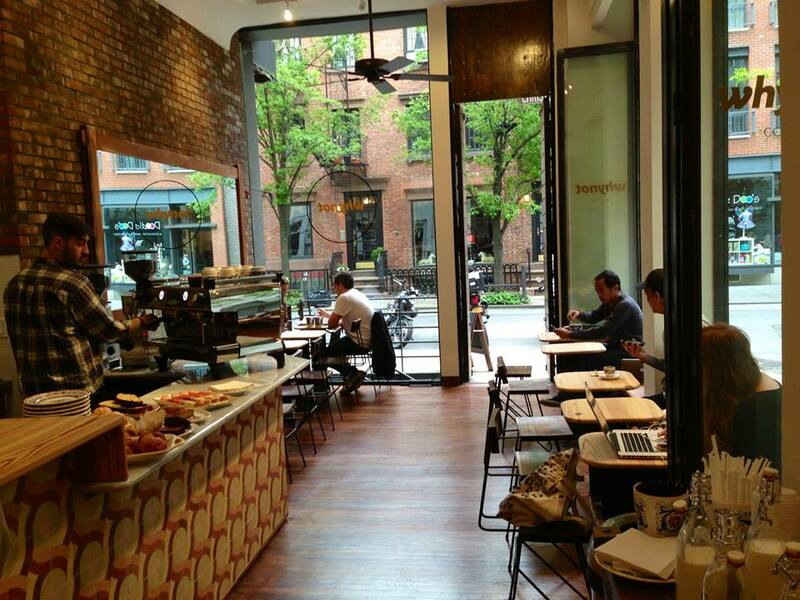 Unlike some other pretentious local coffee shops, you feel comfortable and at home here. 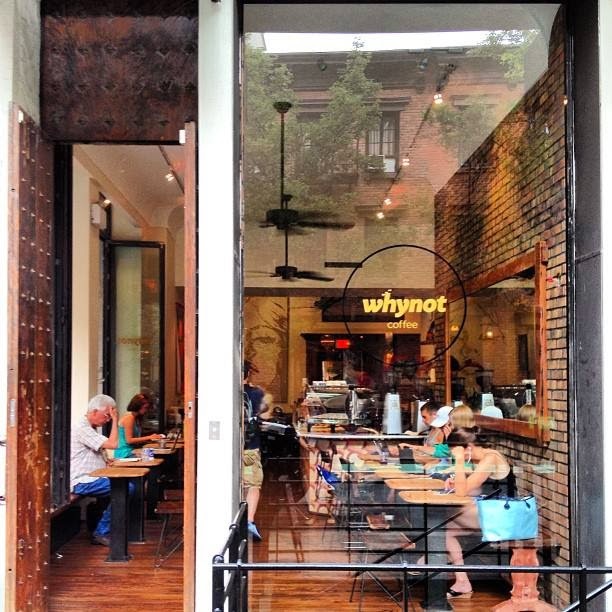 Whynot encompasses a very easy breezy Parisian vibe, which I find refreshing for the area. 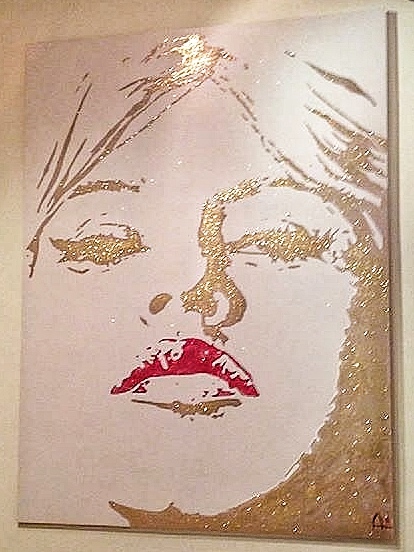 It is decorated impeccably, with large murals of French actresses on the walls, most notably Brigitte Bardot, painted by NY artist Jeremy Penn. 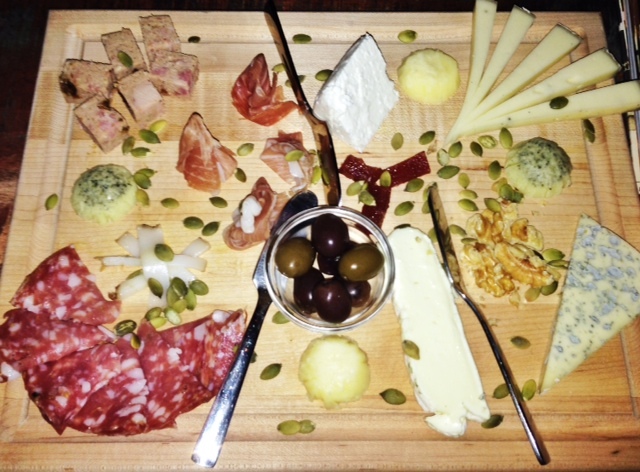 We had the pleasure of enjoying some fabulous wine and cheese with the owner Emil, who explained that his goal was not just to open a coffee and wine shop, but to create an experience. 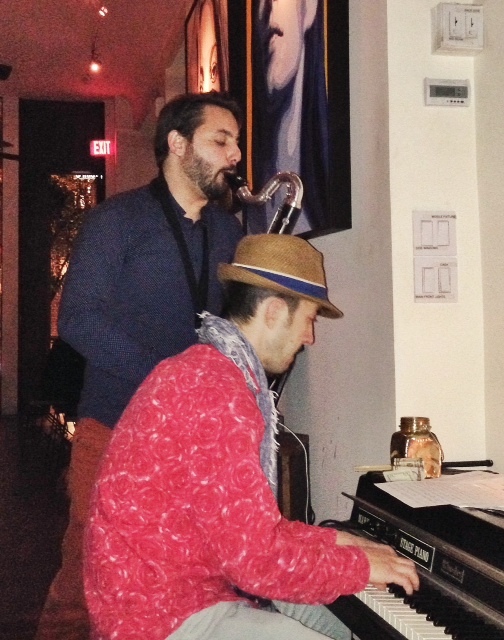 Musicians come in on many occasions to play live Jazz which can be enjoyed on the oversized comfy couch in the back. The record player/keyboard setup is just another treat to keep ones self entertained. By the way, one of my favorite albums by Beach House was playing…on vinyl…very cool. Whynot sells Blue Bottle Coffee, which is outstanding. We had 2 regular coffees and a prosciutto and provolone croissant, a goat cheese with wild berry croissant, and the charcuterie. 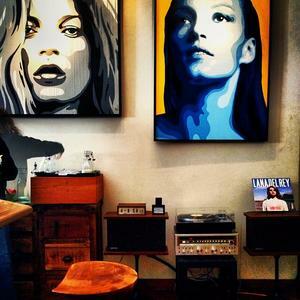 Pop in for a coffee, try the croissants, check out the vinyl selection. Come late night and listen to the live music. 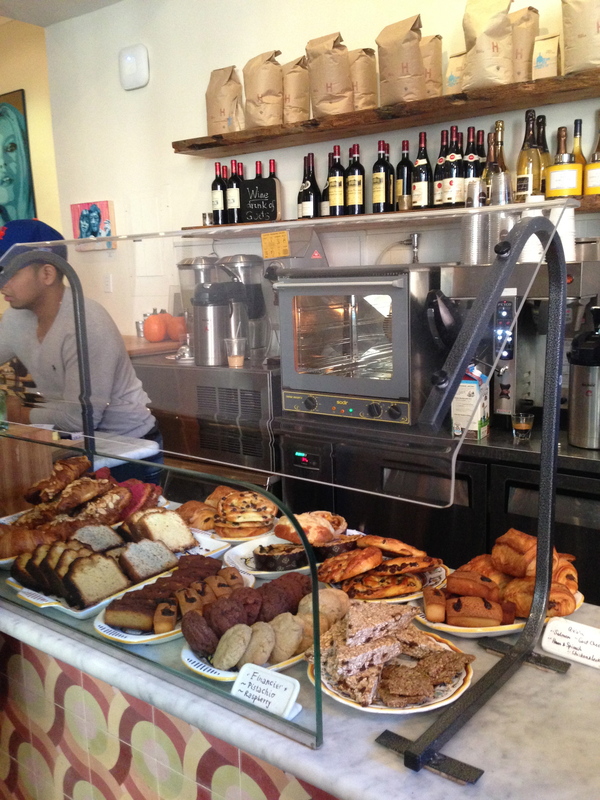 I think you will see why I find this place to be the best new coffee shop in the West Village.